Pool Supplies Canada is proud to carry Canada’s largest selection of custom replacement hot tub covers online. 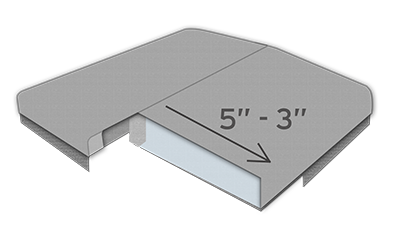 Regardless of your hot tub or spa's shape, size, make or model, we can manufacture a custom replacement cover to fit it - guaranteed! Our replacement hot tub covers are built to last! From the durable 100% marine grade exterior vinyl material and standard 6 mil vapour barrier (3 mil on the top of the cover and 3 mil on the bottom) for long lasting protection from water evaporation. Plus, every replacement hot tub cover from Pool Supplies Canada comes backed with a 1 year manufacturer's warranty against defects! Having a hot tub cover that fits your spa perfectly is crucial, as it helps to keep heat in and reduce evaporation. Your hot tub cover is an important part of your spa system. A properly fitted cover will help you conserve heat, save on electricity costs and keep debris and other unwanted materials out of your hot tub. 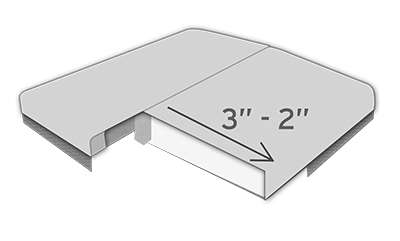 Need some help determining your measurements? See below for our downloadable measurement guide, or to watch a step-by-step guide on how to properly take your measurements! Pool Supplies Canada offers free shipping on replacement hot tub covers. Not only is your custom replacement hot tub cover shipped for free, our customers are always amazed at how fast their orders arrive. 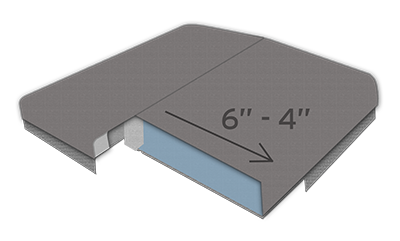 Our replacement hot tub covers are manufactured and shipped out in as little as just 4 weeks! Not to worry - the experts at Pool Supplies Canada have got you covered, with our comprehensive measurement guide and a step-by-step measurement video. Having a hot tub cover that fits your spa perfectly is crucial, as it helps to keep heat in and reduce evaporation. If your hot tub cover is not fitted to your tub or spa properly, you should consider a replacement. If you need some help measuring for your replacement hot tub cover, or aren't sure what to look for in order to ensure a perfect fit, contact us and one of our specialists would be happy to help!